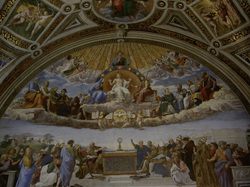 The Renaissance began in Italy at the beginning of the 14th century. The Renaissance began as the rebirth of scholarship based on classical learning and philosophy. This movement sparked a gradual but lasting change in the World View of all Europeans and lead to a continual pattern of learning, growth, change, and progress that was almost nonexistent in the Middle Ages. - World View: Theocentric (God centered). The Middle Ages were concerned with studying theology, the nature of God, and how man can achieve salvation. What was being read and written were largely religious texts. Think of how many of Chaucer's pilgrims in The Canterbury Tales were members of the Church. The Middle Ages is considered an age of faith because of the nature and power of the Church. Mass was conducted in Latin and the majority of the population was illiterate, so they had to believe based on what was told them. The Bible was in Latin, and biblical commentaries were in Latin, so an average person could never study the Bible on their own, they had to take the Church's word. The Catholic Church was also the only church that covered all of Europe, making Church leaders very powerful. The doctrine that a confessions and absolution of sin by the the power of the Church meant that the Church decided the the fate of a person's soul. The fear of hell due to miracle plays and the condemnation of the Church left even lowly priests very powerful in their community. The Pope then had power over each and every King in Europe. 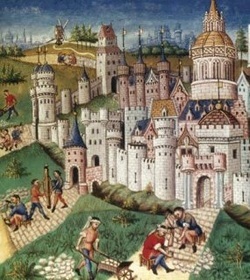 The people of the Middle Ages had to trust the Church to properly educate them and provide them with the means of reaching heaven. With the powerful positions of the clergy and the blind faith of the people, corruption was a major problem within the Church. In The Canterbury Tales, only the Parson was a godly man. All of the other members of the Church were either corrupt or had reached success for reasons other than their heart for the lost. These problems in the Church paved the way for the two major events that ushered in the Renaissance: Modern Science and the Protestant Reformation. This book stated that the sun, not the earth was the center of the universe. 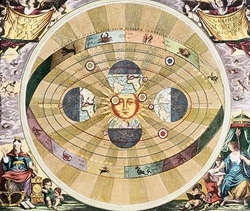 This heliocentric view challenged Ptolemy's view that the universe revolved around the earth. Since the Catholic Church also claimed that the earth was the center of the universe, his view were heretical. He died the day the book was given to him. This was a text book about the anatomy of the human body. 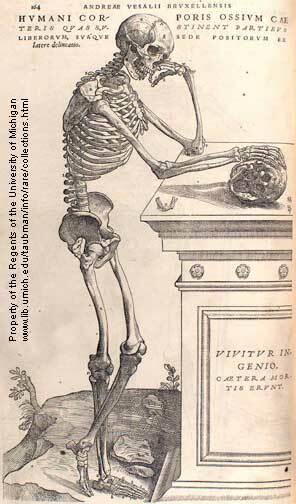 This book challenged the accepted text of a Greek named Galen, who wrote a book about human anatomy with out ever dissecting a human body. 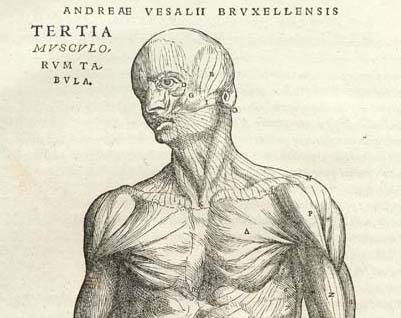 Vesalius actually dissected bodies in order to better understand the anatomy of the human body and how to treat it with medicine. Galileo utilized inductive reasoning as the basis of experimentation. Inductive reasoning using known particular facts as the significance of broader meaning. In the Middle Ages, scientist and clergy used deductive meaning, which begins with a broad idea and then tries to fit particular facts to that idea. The scientific method was simply a method for achieving knowledge about the world and man. By following the seven steps for experimentation, a scientist could determine whether or not his hypothesis was true. Galileo was a humanist. 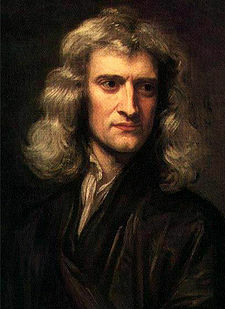 He believed that the human mind had the capacity to be able to understand the world and science. This was a very hopeful view of man, compared to the view that man was corrupt and in need of a savior. He had a B.A. in Grammar in order to communicate correctly, in Rhetoric in order to communicate emphatically, and in Logic in order to think correctly. This combination allowed him to experiment and record his findings, and this method is still being used today. 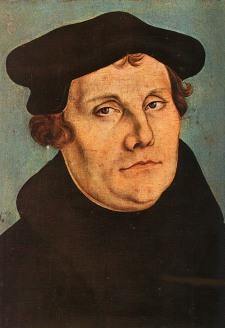 1517: Martin Luther nails the Ninety-five These to the door of a Church in Wittenberg, Germany. These were 95 things that he was willing to debate about Church doctrine and policy. The most memorable of these is that salvation is through grace, by faith alone. The Catholic Church was facing criticism, and did try to reform its self through the counter-reformation, but Luther's beliefs fractured the once religiously unified Europe. The Renaissance is the rebirth of classical learning and scholarship; but as scholarship grew, so did the realization of human potential for development. This resulted in the rebirth of the human spirit. This realization lead to new discoveries in art, literature, religion, science, and philosophy. • Sir Francis Drake: Sailed around the world for England. 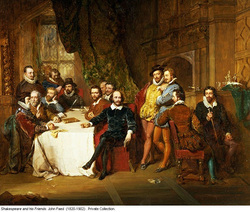 • The Renaissance was occurring in Italy and Europe during Chaucer’s time, but it had not yet effected English culture. 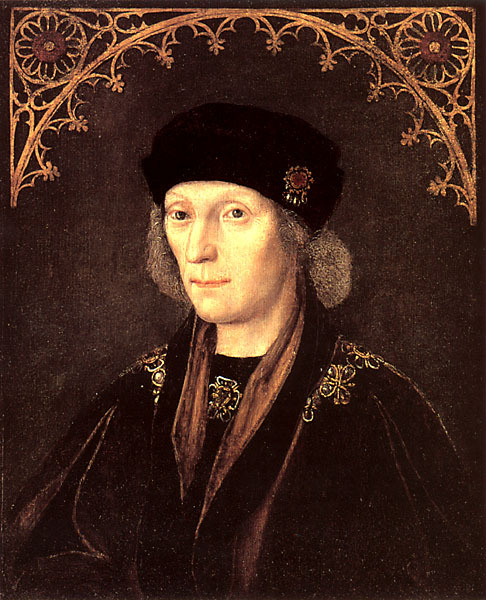 Henry VII ends the War of Roses and Strengthens the Crown. He establishes a time of peace in England. With peace, culture, education, and cities prosper. 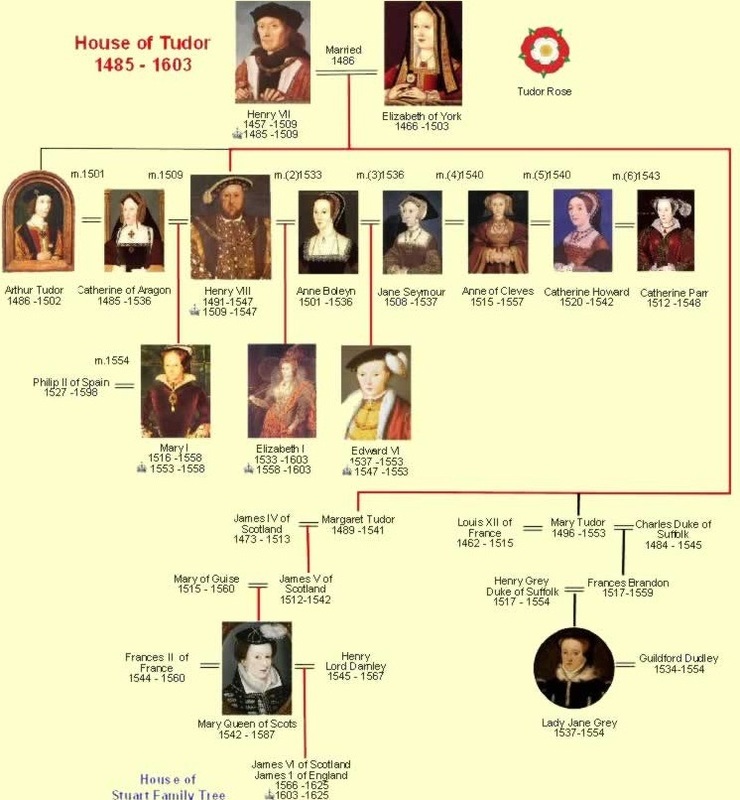 Henry VII and Elizabeth of York have four children: Arthur, Henry, Margaret, and Mary. 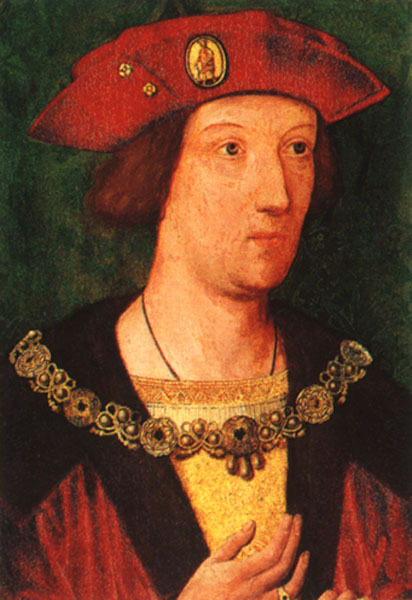 Arthur, the crown prince marries Catherine of Aragon, princess of Spain, in order to form an alliance between the two countries. Arthur was sickly and died before taking the throne. When Henry VII dies, he leaves the crown to his second son,Henry VIII. 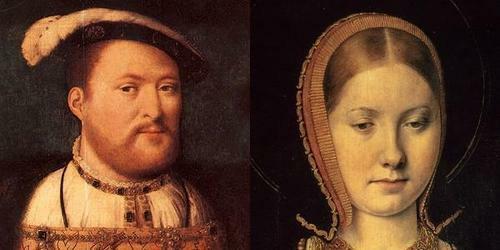 Henry VIII marries the widowed Catherine of Aragon to strengthen England's alliance with Spain and the Catholic Church. They have one daughter, Mary. 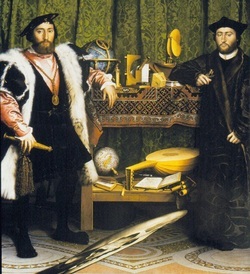 • William Caxton set up England's first Printing Press in 1476. – It is estimated that by 1530 more than half the population was literate. – Dutch Humanist, Desiderius Erasmus, taught at Cambridge University. • 1510: John Colet, one of the original Oxford Group, establishes the cathedral school of St. Paul’s Cathedral. • This act prompted the Protestant Reformation that fractured Europe from the religious unity it had held under Catholicism. • Henry VIII needs a Son: A son would make for an uncontested heir to the throne. Plus, Henry only has one child, Mary. Having more children would increase the likely hood of his line remaining on the throne. 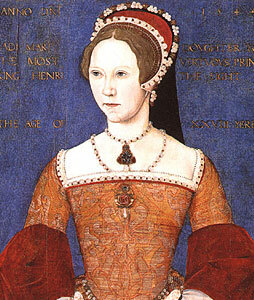 • Catherine to beyond childbearing years: Catherine is older than Henry. She has delivered other children, but only Mary has lived. It is rumored that she cannot have children any more. • He asks the pope to have his marriage annulled on the basis that her marriage with Arthur was consummated. 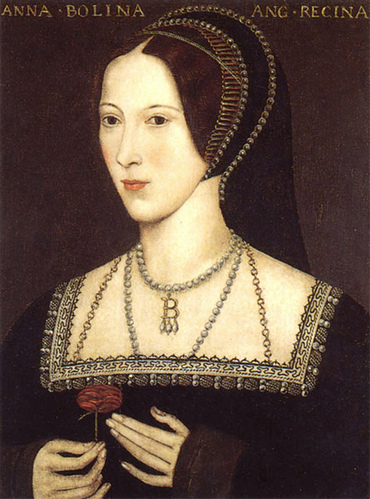 Historically, it is unlikely that Catherine and Arthur consummated their marriage, being that Arthur was deathly ill. Catherine remained adamant that she was a virgin until she married Henry. 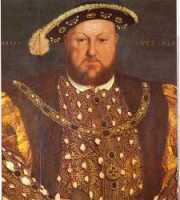 Henry asked to have an annulment granted by the church stating that the marriage was not holy before God, making it illegitimate. He believed the marriage to be cursed by God, the curse being that Catherine could not bear him a son. This separation would be a disgrace to Catherine, and her father the King of Spain. It would also mean that Princess Mary would be an illegitimate child and no longer a true heir to the throne. • The Catholic Church is weakened after the Protestant Reformation.